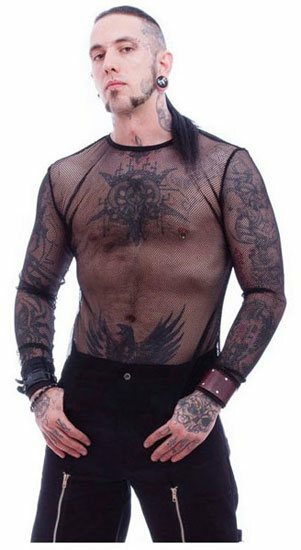 A classic fishnet top for Men. The Kane fishnet top is a long sleeve small knit fishnet shirt. Hand wash cold. Hang dry. I love my fishnet top. It fits like a glove. The prompt shipment and protective packaging tells me these guys take their customers very seriously. I couldn't be happier. I don't think I've ever had a bad purchase from Rivithead. i was highly satisfied with this product please keep up the great work. I don't have an awesome bod yet but still have always wanted one of these. It fits perfectly with maybe a little extra room in the arms but besides that perfect.